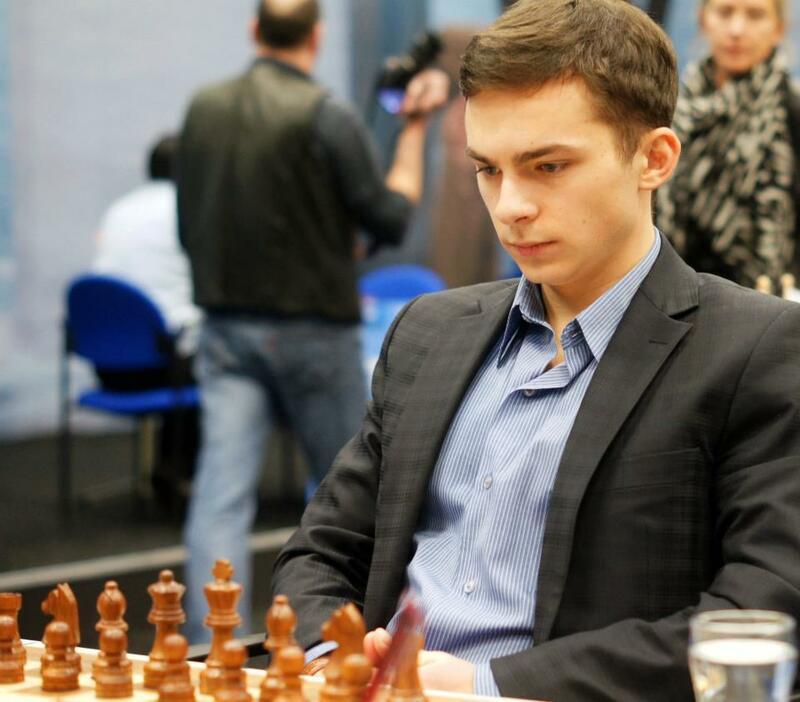 GM Alexander Ipatov is the 2015 Turkish National Chess Champion. He conquered his title one round before the end of the tournament, after leaving his closest competitors 1,5 points behind. GM Ipatov continues his string of successes, which include Turkish National title in 2014 and World Junior Chess Championship in 2012. The current standings after round 12 have Ipatov with 11.5 points, ahead of GM Dragan Solak, solidly in second place with 10 points. The battle for third place will be decided today in the final round, with 4 players vying for that spot – GM Kivanc Haznedaroglu with 8 points is currently in third place, ahead of GM Baris Esen, IM Azis Mert Erdogdu and Mustafa Yelken, currently sharing fourth place with 7.5 points. Alexander Ipatov, born in Ukraine 16th of July 1993. He is two times vice-champion of the Ukraine among boys under 10 years (2003), under 14 (2007), under 16 and 20 (2008, he was just 14 at the time). He is Master of Sports (the Ukraine) and a participant of two World championships under 10 years (2003, 11th place), under 14 years (2007, 8th place). His first major feat was the 2nd place at the International Chess tournament Le Mans (France, 2008). However, Alexander Ipatov first got on the radar of international top chess when he joined as commentator of Chessdom.com for Corus 2010. At the time he had 2497 ELO, but bravely took on the task that has previously been given to renowned chess players as World Champion Alexandra Kosteniuk, the French national team player GM Christian Bauer, the current Russian champion Natalia Pogonina, GM Aveskulov, IM Perunovic, etc, where the young Ipatov showed great understanding of middle and endgames, winning many fans internationally. Soon after, while commenting the World Chess Championship live in Sofia, he won the strong Sofia Blitz Championship and from there his success followed one after the other. A few months later IM Ipatov won a medal and GM norm at Cappelle La Grande and the same year came his final GM norm in Nakhchivan with equal points as Vallejo, Sokolov, and Almasi. Early in 2012 he was attracted by the Turkish Chess Federation and the same year he brought the first gold from World Junior Championships to the country, following it up with wins in the 2014 and 2015 Turkish National Championships.